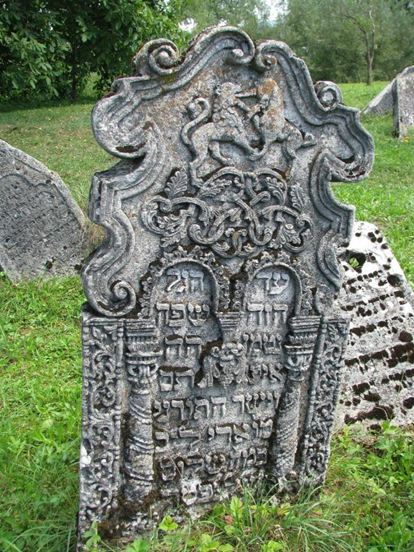 After six years of work, the digitalization of more than 250,000 items in The Bezalel Narkiss Index of Jewish Art has been completed, and the entire collection, including images of Jewish cemeteries and Jewish ritual architecture, as well as ritual objects, documents, and art work, is now online. There are more than a quarter of a million images on the site, with accompanying details and descriptions. They can be accessed either by simple keyword search or according to categories such as Iconographical Subject, Origin, Artist, Object, Community, Collection or Location. Most of the images come from the series of documentation expeditions carried out by Center staff over the past three decades, aimed at gathering material in six categories of Jewish art: Hebrew Illuminated Manuscripts, Sacred and Ritual Objects, Jewish Cemeteries, Ancient Jewish Art, Modern Jewish Art, and Jewish Ritual Architecture. Some of the pieces documented are no longer in existence. The Israeli government recognized The Bezalel Narkiss Index of Jewish Art as a non-tangible national heritage in 2012. Prof. Bezalel Narkiss was an Israel Prize laureate who established the Hebrew University’s Department of Art History in 1966 with his colleague Prof. Moshe Barasch. In 1979 Narkiss established the Center for Jewish Art with the goal of creating a research center that focuses on investigating and preserving Jewish visual art. the pages from pre 1492 are so poignant and moving, the Hebrew is clear enough to read now ! What a wonderful exercise this has been for generations to come Thank you to one and all for this. I tried to search art from Pepi Weixlgärtner but could not find anything. I don’t know if she doesnt reach the criteria for modern jewish art?